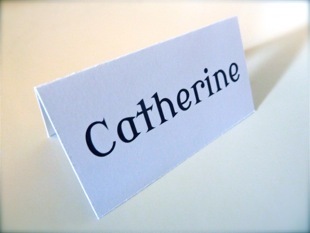 Big.first.name - New: Printable Place Name Cards! New: Printable Place Name Cards! A new addition to Big.first.name - Name Place Cards (aka: Place Name Cards, Place Cards, Name Cards, wedding place cards, Tent Cards). Standard tent card sizes have been added to our system to take the pain out of configuring templates correctly. Our designs automatically rotate guest names upside-down for easy printing on two-sided folding tent cards. 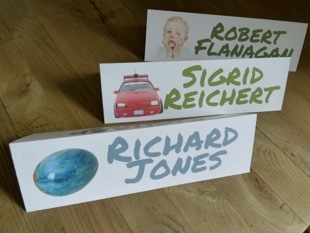 Place Name Cards can be printed out on your printer just like our Name Badges are. In fact you could use the same event list to print out both Name Badges and Place Name Cards! For further information see the official press release, New Web Application Benefits Events Organisers Working On Tight Budges.